Here’s the foreign policy question of questions in 2019: Are President Donald Trump, Israeli Prime Minister Benjamin Netanyahu, and Saudi Crown Prince Mohammed bin Salman, all severely weakened at home and with few allies abroad, reckless enough to set off a war with Iran? Could military actions designed to be limited — say, a heightening of the Israeli bombing of Iranian forces inside Syria, or possible U.S. cross-border attacks from Iraq, or a clash between American and Iranian naval ships in the Persian Gulf — trigger a wider war? With Bolton and Pompeo, both well-known Iranophobes, in the driver’s seat, few restraints remain on President Trump when it comes to that country. White House Chief of Staff John Kelly, National Security Advisor H.R. McMaster, and Secretary of Defense Jim Mattis, President Trump’s former favorite generals who had urged caution, are no longer around. And though the Democratic National Committee passed a resolution last month calling for the United States to return to the nuclear agreement that President Obama signed, there are still a significant number of congressional Democrats who believe that Iran is a major threat to U.S. interests in the region. During the Obama years, it was de rigueur for Democrats to support the president’s conclusion that Iran was a prime state sponsor of terrorism and should be treated accordingly. 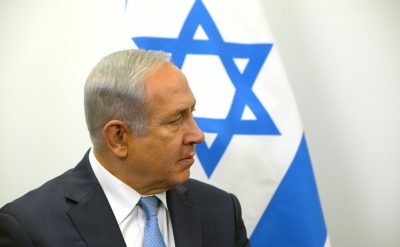 And the congressional Democrats now leading the party on foreign policy — Eliot Engel, who currently chairs the House Foreign Affairs Committee, and Bob Menendez and Ben Cardin, the two ranking Democrats on the Senate Foreign Relations Committee — were opponents of the 2015 nuclear accord (though all three now claim to havechanged their minds). Next, consider Iraq as a possible flashpoint for conflict. In February, a blustery Trump told CBS’s Face the Nation that he intends to keep U.S. forces in Iraq “because I want to be looking a little bit at Iran because Iran is the real problem.” His comments did not exactly go over well with the Iraqi political class, since many of that country’s parties and militias are backed by Iran. Trump’s declaration followed a Wall Street Journal report late last year that Bolton had asked the Pentagon — over the opposition of various generals and then-Secretary of Defense Mattis — to prepare options for “retaliatory strikes” against Iran. This roughly coincided with a couple of small rocket attacks against Baghdad’s fortified Green Zone and the airport in Basra, Iraq’s Persian Gulf port city, neither of which caused any casualties. Writing in Foreign Affairs, however, Pompeo blamed Iran for the attacks, which he called “life-threatening,” adding, “Iran did not stop these attacks, which were carried out by proxies it has supported with funding, training, and weapons.” No “retaliatory strikes” were launched, but plans do undoubtedly now exist for them and it’s not hard to imagine Bolton and Pompeo persuading Trump to go ahead and use them — with incalculable consequences. Finally, there’s the Persian Gulf itself. Ever since the George W. Bush years, the U.S. Navy has worried about possible clashes with Iran’s naval forces in those waters and there have been a number of high-profile incidents. The Obama administration tried (but failed) to establish a hotline of sorts that would have linked U.S. and Iranian naval commanders and so make it easier to defuse any such incident, an initiative championed by then-Chairman of the Joint Chiefs Admiral Mike Mullen, a longtime opponent of war with Iran. Under Trump, however, all bets are off. Last year, he requested that Mattis prepare plans to blow up Iran’s “fast boats,” small gunboats in the Gulf, reportedly asking, “Why don’t we sink them?” He’s already reinforced the U.S. naval presence there, getting Iran’s attention. Not surprisingly, the Iranian leadership has responded in kind. Earlier this year, President Hassan Rouhani announced that his country had developed submarines capable of launching cruise missiles against naval targets. The Iranians also began a series of Persian Gulf war games and, in late February, test fired one of those sub-launched missiles. 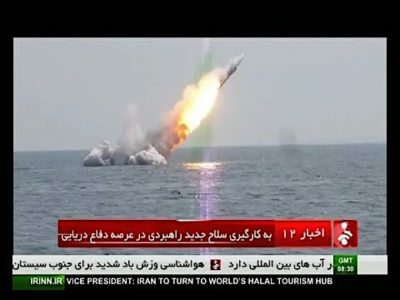 An Iranian submarine launched missile. It added that the administration is seeking to use this information to establish “a potential legal justification for military strikes against Iran or its proxies.” Needless to say, few are the terrorism experts or Iran specialists who would agree that Iran has anything like an active relationship with al-Qaeda. The name change, however, fooled no one. 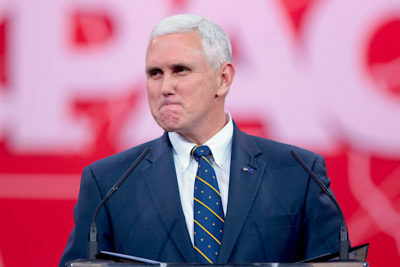 As a result, Vice President Mike Pence and Secretary of State Pompeo were embarrassed by a series of no-shows: the French, the Germans, and the European Union, among others, flatly declined to send ministerial-level representatives, letting their ambassadors in Warsaw stand in for them. The many Arab nations not in thrall to Saudi Arabia similarly sent only low-level delegations. Turkey and Russia boycotted altogether, convening a summit of their own in which Presidents Vladimir Putin and Recep Tayyip Erdogan met with Iran’s Rouhani. Even before Trump abandoned the deal, however, Iran was already finding U.S. pressure overwhelming and, for the average Iranian, things hadn’t improved in any significant way. Worse yet, in the past year the economy had taken a nosedive, the currency had plunged, inflation was running rampant, and strikes and street demonstrations had broken out, challenging the government and its clerical leadership. Chants of “Death to the Dictator!” — not heard since the Green Movement’s revolt against President Mahmoud Ahmadinejad’s reelection in 2009 — once again resounded in street demonstrations. 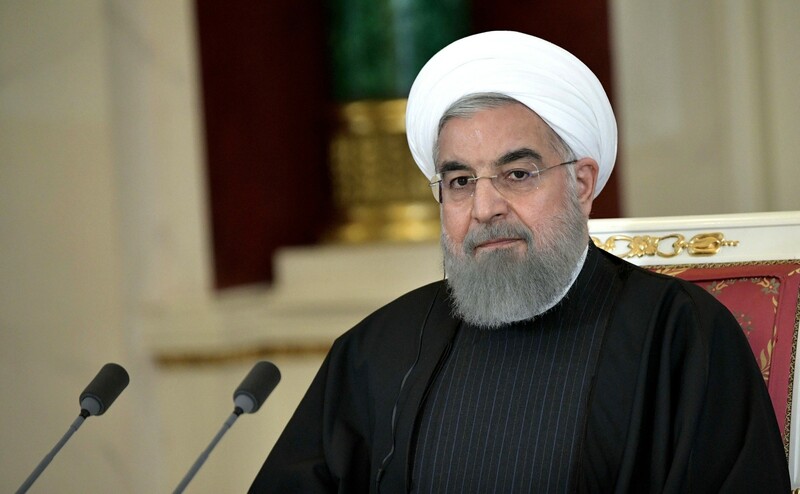 Despite the internal pressure on Zarif, however, his resignation proved short-lived indeed: Rouhani rejected it, and there was an upsurge of support for him in Iran’s parliament. Even General Qassem Soleimani, a major figure in that country’s Islamic Revolutionary Guard Corps (IRGC) and the commander of the Quds Force, backed him. As it happens, the Quds Force, an arm of the IRGC, is responsible for Iran’s paramilitary and foreign intelligence operations throughout the region, but especially in Iraq and Syria. That role has allowed Soleimani to assume responsibility for much of Iran’s foreign policy in the region, making him a formidable rival to Zarif — a tension that undoubtedly contributed to his brief resignation and it isn’t likely to dissipate anytime soon. 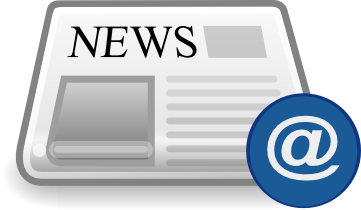 Bob Dreyfuss, an investigative journalist and TomDispatch regular, is the founder of TheDreyfussReport.com. He is a contributing editor at The Nation, and he has written for Rolling Stone, Mother Jones, The American Prospect, The New Republic, and many other magazines. He is the author of Devil’s Game: How the United States Helped Unleash Fundamentalist Islam.